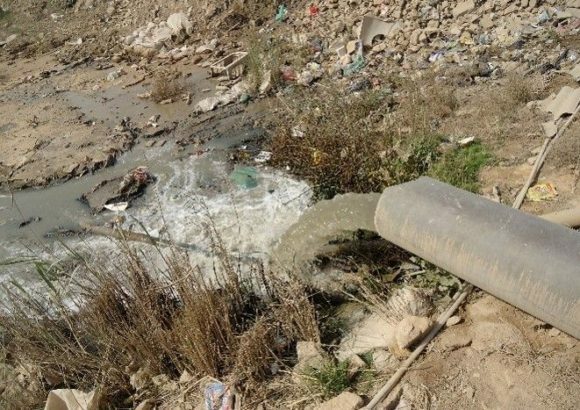 For years in the city of Sulaymaniyah in Iraqi Kurdistan waste has been dumped at a site close to the Tanjero River in the Tanjero area of the city. The site has been used by the municipality as well as industries to dump their waste, such as oil and other toxic materials. It has been polluting the local environment in Tanjero for years, contaminating the groundwater, flowing towards the Tanjero river and having entered already the farm fields. The confluence of the Tanjero River and the Sirwan River together form the Diyala River, which is a tributary of the Tigris. The Tanjero River has been neglected for years, having been increasingly polluted by sewage since a decade. Currently, the waste at Tanjero dump is already polluting the waterway but if it actually reaches the river it would be an environmental catastrophe. Downstream communities depend upon the Tanjero River water. Apart from trying to intercept the toxic waste by constructing a trench, authorities have not made any efforts to stop the mess from being dumped there. 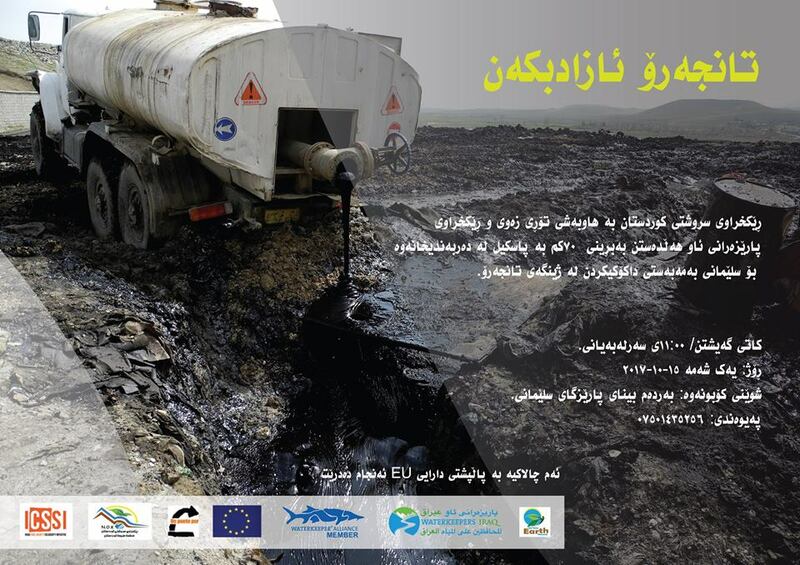 Waterkeepers Iraq in June 2016 uncovered and addressed this issue in a press statement, calling on downstream communities to demand a clean environment, and for environmental organizations and local authorities to take up this issue of the Tanjero dump. More than a year later, the Tanjero River continues to be in a dire state and the toxic mess at the Tanjero dump still persists. Together with downstream activists of the working group on Water Rights – of which Waterkeepers Iraq is part, they raised the issue again. 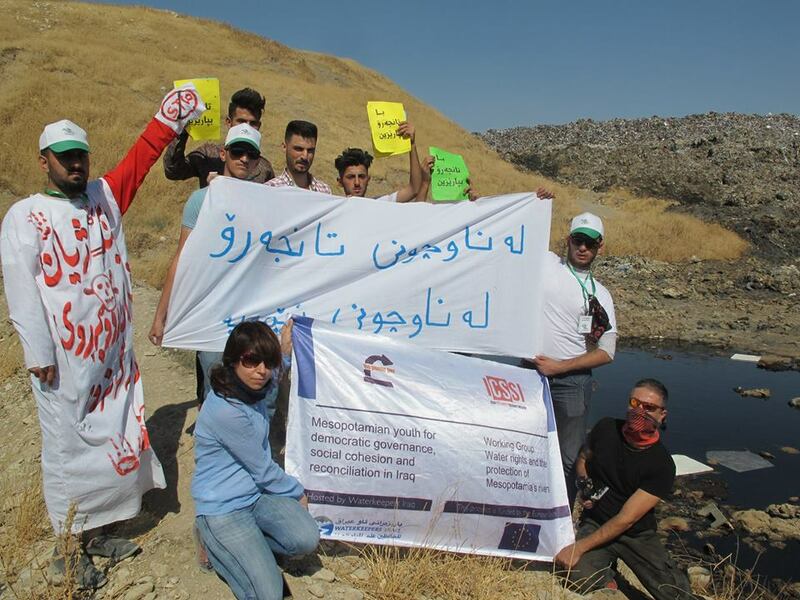 On 15 October 15 activists of Nature Kurdistan cycled from Darbandikhan to the Slemani Provincial Council building, with pictures of the Tanjero river and signs asking to halt the environmental disaster. The town of Darbandikhan is dependent upon the water of the Tanjero River. Sooner than later, local communities and authorities will have to clean up the Tanjero River and save it from neglection.